I have one DL385 G2 server that since Thursday is not able to power on properly. I can't figure out what's the problem, since there is no indication neither in iLO 2 log, IML, nor any red/amber LED on the front panel. Sometimes it can boot to the OS, sometimes it power of after few seconds. I've tried swapping the CPUs, also backup CPU and memory, switching the PSUs, but nothing helps. After I press power button, it is green, after some random time it's dark, fan run full speed for about 1 second, and then power off and power button is amber. Thank you very much for your help and insight. I'd suspect system board. Due to the age of the system and the fact that it's probably not under contract or support, you'll probably need to go the used parts route to outfit this system. Another thing to try is the motherboard battery. When the system powers off then boots all the way, is the time correct? Have you run a diagnostic CD/DVD? 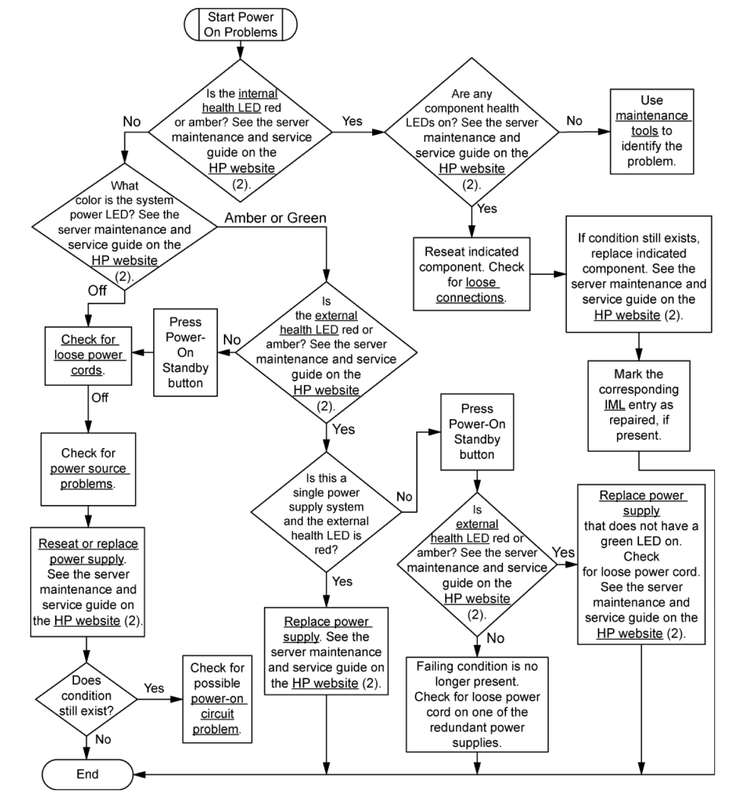 You should reference the HP ProLiant DL385 Generation 2 Server Maintenance and Service Guide for parts information if you choose to self-support. 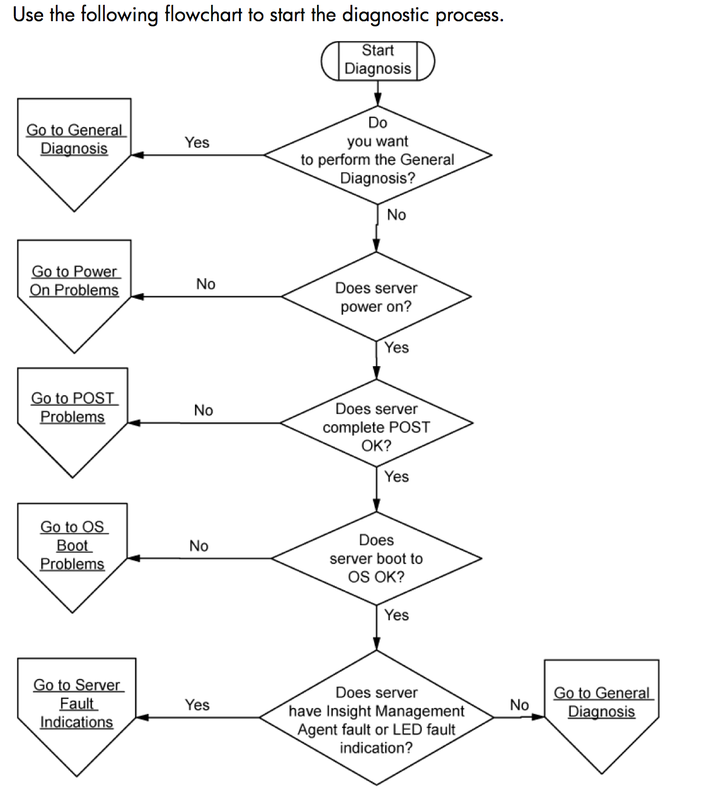 If you intend to troubleshoot this unit, follow the diagnostic flowchart outlined in the HP ProLiant Servers Troubleshooting Guide. Personally, I would not spend much time troubleshooting a server this far out of production. If you just need something that works quickly and intend to keep this system alive for awhile, buy another DL385 G2 system on eBay. They're under $200US. This ensures that you'll have some parts available for cannibalizing and is a quick fix. Long-term, prepare to move to a more current platform. I do have two DL385 G2's still in production, though. hp dl385 g2 have very unreliable power supplies. We have several hundred of them, and have about fifty blown power supplies. If you have two power supplies installed it will keep running on one only, with the other showing orange fault on the front control panel. We haven't tried any with a single power supply, but I'd imagine they just die. You could easily be swapping to an equally faulty power supply. Not the answer you're looking for? Browse other questions tagged hp hp-proliant power-supply-unit or ask your own question.